Sterling Silver 19mm Disc Pendant with Birthstone - engrave up to 3 lines! The discs measure 19mm in diameter and are beautifully sturdy. 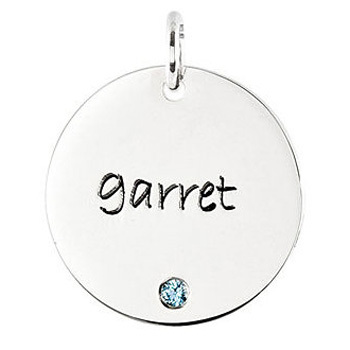 Personalised with up to three names or lines of text and one birthstone per disc. A short message or date is able to be engraved on the back for a small additional charge. Your stunning POSH Mother Jewellery not only comes gift-boxed, but with it's own polishing cloth to keep it looking gorgeous! 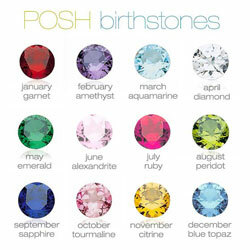 -Displayed cost is for a sterling silver 19mm pendant, engraved with birthstone (chains are extra).